Travelling to France and being able to find places to stay which are out of the bigger cities is a great way to discover France and practice speaking French especially when staying in smaller villages where you will meet French locals and you will be forced in a nice way to speak French and being immersed in the language. I have been lucky to get to know some Australian people that have shared with me their little piece of paradise in some small French villages and regions. All the places mentioned below are owned by Australians with a love of France and everything French. Our cottage in France is located in Dordogne and offers two rental properties run by Neil and Rae-Helen Fisenden who also offer escorted tours to visit the region. The first cottage is located in Beaulieu sur Dordogne in the centre of a medieval village and close to the historical village of Rocamadour plus several of the Plus Beaux Villages de France, including Collonges la Rouge. The village itself is nestled right on the banks of the Dordogne River and is home to historic Benedictine architecture including a remarkable Abbey. Their second property, a stone cottage, is in the charming village of Berbiguières and close to the historic area of the 100 years’ war featuring the Châteaux of Beynac and Castelnaud, as well as the famous villages of Sarlat, La Roque Gageac and Domme. Both properties are over 300 years old and have been lovingly restored to a high standard of comfort but with authentic French features. Chez Olivia and René is a bed and breakfast in St-Quentin-la-Poterie near Uzes, less than one hour from Avignon, and is run by an Australian-French couple who also offer dinner to their guests. This accommodation in a small village gives you the opportunity to practice your French with the locals. As the name says the region has lots of potters’ markets which are popular with tourists. This historical village has a lot to offer and is a paradise for hikers and cyclists. Petite Stays is an Australian-run boutique service offering tried and tested B&Bs in Paris, Portugal and Australia. Regina is a Portuguese native, Australian resident and is a B&B accommodation expert with 10-years industry experience. Regina offers a personalised service and is able to help guests select the right accommodation for their needs. Why not choose a stay in one of these apartments before you continue your trip to another of the smaller towns mentioned on the blog today? Le Cormoran Talloires is a village house in the French alps near Annecy, famous for its beautiful lake and its proximity to a multitude of ski resorts. It is available for holiday rental in summer or winter and owned by Catherine Berry, the Australian author of the book and blog “But you are in France, Madame”. Catherine spent 3 1/2 years living in the Annecy area with her family before purchasing their home in Talloires. This is a picture-perfect place to unwind and enjoy nature, swim, go for long walks or cycle whilst being immersed in the French atmosphere and language. A French teacher herself and knowing the area as she does, Catherine is able to advise on specific language courses and must-do activities. Chateau du Jonquay is located in Normandy not far from Deauville, which is the closest seaside resort to Paris. This beautiful property is owned by a couple, Jane and Steve Hiscock, from Melbourne, Australia who decided in 2013 to renovate both the château dating from the 17th century and the farm house which they have transformed into a luxurious get-away, which easily accommodates larger groups. The chateau sits on 5 acres in the heart of the Normandy countryside and provides privacy but is surrounded by many French villages and farm houses. Jane also runs wellness workshops in conjunction with a health coach. Hope you enjoy reading this blog and it gave new ideas of places to stay for your next trip to France! This book called Bon appetit Monsieur Lapin written by Claude Boujon ,1985 and published by l’école des loisirs has been a popular book to read along activities to do with my young students. So I decided to put together a serie of different blogs that have produced and shared activites relating to that album. The blogs are not in order of preferences but written as a list of resources for students and French teachers. A nice blog La maternelle de Laurène blog has some great activities to download. 2. A great blog by Zaubette is quite good with some good exercises and colourful activities to print out. 4. Dessine-moi une histoire. is a mine of great resources for French teachers and many activities to read and to explore and so many albums to discover. 5. 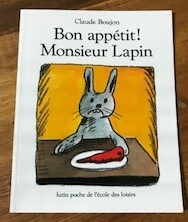 Materalbumfree has lots of links and files relating to the book bon appetit monsieur lapin. 7. L ‘école des crevettes has many ideas to exploit this album and creating art projects. This is not an exhaustive list and feel free to comment and suggest other blogs to add to this list. Learning French can be fun and when playing online games . These games will help you to learn vocabulary about food related topics. Many of my students play interactive online games during on our online lessons and enjoy memorising words and playing games as they learn. I made a short version of a game and hopefully you will find these games useful. Learning French online is a great way to engage students. The TES website has a platform called Blendspace where you can create lessons or learn about different topics. I love using Blendspace to create lessons to share with my students. This is a fun and engaging way for them to learn and participate in the lessons. This is an easy way for teachers to create lessons and save time. I have created so many lessons including games , word documents and audio to practice listening using this platform just by adding resources such as Youtube or from TES resources. A Bilingual French and English story for children "Le Petit Poulet"
I have found as a French language teacher that using stories and videos is a great way to engage children and adults in learning a language. This audio story will help the students to practice their listening of the language whilst learning new vocabulary. This resource can be used with or without subtitles. Teachers of French as well as children learning French will enjoy this fun and delightful audio bilingual story which is a retelling of the story of Chicken Little by The Fable cottage. This read along book can be adapted to the speed of the reader and the level of French of the French students. This French online children’s story is one of the stories that you can find on The fable cottage website. You will be pleased with the variety of bilingual audio stories from different languages on that site. The French experiment has also some good bilingual stories. 1- There are subtitles in French and English .Select them (or switch them off ) using the CC icon. 2- If you select “ search video” from the CC menu ( or click the little arrow next to any subtitle). It will give you a list of all the subtitles.You can click on a subtitle to jump to that phrase. Good for practicing phrases. 3- You can listen to the story faster using the cog icon. Faster is quite fast. Interview with Catherine Berry author of “But you are in France Madame”. This is an interview with Catherine Berry who is the author of the book titled “But you are in France Madame” . Her book talked about the journey of an Australian family living in France for over 3 years. They immersed themselves in the language and the culture of that country with all the joy and challenges that this trip brought them. 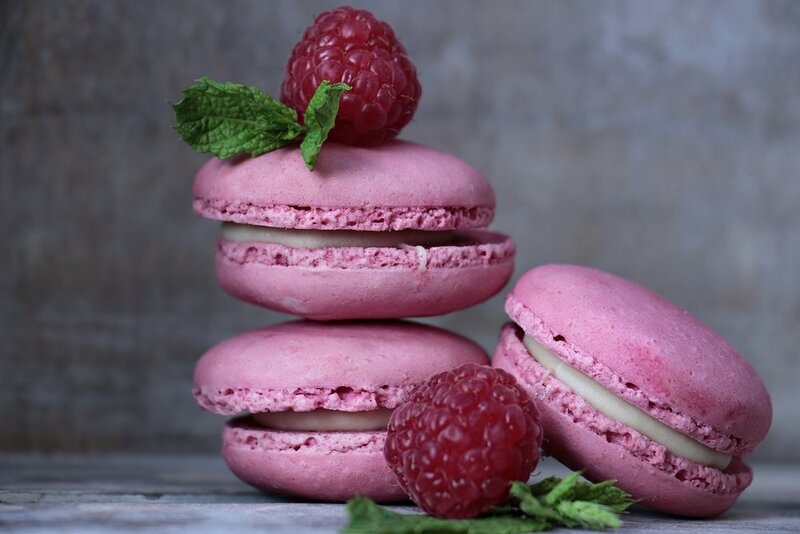 This is an interview about the book and what inspired her to write the book, ”But you are in France Madame” written by Catherine Berry an Australian author. LISE MARIANO : Catherine Berry est l’auteure du livre » But You are in France Madame » et j’ai le plaisir de pouvoir discuter de son livre avec elle. LISE MARIANO : Ma première question est qu’est- ce qui vous a inspiré à vouloir partir en France avec votre famille? CATHERINE BERRY : Merci Lise de cette invitation. C’est un plaisir de pouvoir vous parler de notre aventure française. Énormément de choses ont sans doute inspiré le choix de mon mari et moi mais c’est possible que tout ait commencé à l’âge de 12 ans lors de mon premier cours de français au collège. J’étais une élevé sérieuse et il se peut qu’au début je fusse motivée plutôt par un désir de bien réussir mes épreuves/avoir de bonnes notes. Peu à peu une vraie fascination pour toute chose française s’est développée. Je suis toujours éblouie par ce qui est derrière les lettres, les mots et les phrases: mais pouvoir parler une autre langue n’est pas que la capacité de dire, de communiquer, c’est la possibilité de voir le monde différemment et d’entretenir plus profondément avec des gens. Je suis devenue prof de français et j’adorais ce métier mais quand mes enfants sont nés les frais de scolarité et de crèche ici en Australie sont devenus trop importants par rapport à mon salaire d’enseignante alors j’ai démissionné et j’ai commencé à donner des cours particuliers chez nous. C’est là qu’une série de coïncidences nous ont menés à une vie quasi française à Melbourne (où on vivait) et on a flirté avec l’idée d’une vraie vie française. LISE MARIANO: Vous êtes partis avec votre mari et trois jeunes enfants est ce que ça a été une grande décision? CATHERINE BERRY : En fait, je ne me rappelle pas le moment précis où nous avons décidé de partir mais je suis convaincue que l’idée de tenter une telle expérience et de vivre différemment faisait partie de notre vie de couple alors finalement, oui, ‘grande’ dans le sens de la réalisation des possibilités que la décision nous engendrait. Il n’y a pas de doute que les préparatifs ont été longs et compliqués et une fois la décision prise nous étions loin d’être prêts à partir…il fallait procurer nos passeports (italien et britannique), choisir une région/une ville, inscrire nos enfants dans des écoles, trouver un logement, mettre de côté de l’argent pour payer notre voyage et notre vie française, mettre notre maison australienne en location, informer tout le monde (écoles, amis, banques, assurances et j’en passe) de notre intention de partir, acheter des valises assez légères pour pouvoir maximiser notre franchise de bagages... la liste était longue! LISE MARIANO: Vous y êtes allés pour combien de temps? Vous y êtes allés plus longtemps que prévu je crois? CATHERINE BERRY : Mon mari a pris une année sabbatique et à tout notre entourage nous avons dit que l’on partait un an…mais une fois arrivée, on savait qu’un an ne suffirait pas alors mon mari a commencé à travailler à son compte qui nécessitait de longues périodes d’absence en Australie. Finalement on est resté 3 ans et demi mais on n’a jamais eu l’année ensemble et sans travail dont on avait rêvé. LISE MARIANO Vous avez choisi de vivre à Annecy pour une raison en particulier? Catherine : Quel dilemme, choisir où vivre en France! On avait l’embarras du choix. On avait tout de suite écarté Paris mais on ne voulait pas non plus habiter dans un tout petit village isolé. Grâce à un coup de chance on consultait ensemble le ‘Lonely Planet Guide’ quand il s’est ouvert à Annecy. En lisant des montagnes, du lac, de sa proximité à un aéroport international (pour tous les amis australiens que l’on attendait!) ET la possibilité de faire de ski…on était conquis. LISE: Vous avez aussi acheté une maison dans les alpes je crois et que vous louez à des gens? Vous pouvez nous expliquer. CATHERINE :Après nos 3 ans et demi nous sommes retournés en Australie mais mon cœur est resté en France. Honnêtement, malgré la beauté de Sydney j’étais un peu déprimée; impossible pour moi de tourner la page. Y vivant (en France) on avait déjà fait des visites aux maisons à vendre et on connaissait très bien l’endroit où on voulait acheter alors j’ai continué mes recherches depuis l’Australie. Le jour où nous sommes retournés en France pour signer l’acte de vente j’étais aux anges. Irréaliste, rêveuse, irresponsable-qui sait? Le côté pratique est que pour financer cet achat il fallait la mettre en location saisonnière. Vos élèves peuvent la trouver sur Internet en tapant ‘ourfrenchvillagehouse’. LISE: Comment s’est passé votre adaptation et celle de votre famille à la vie en France? CATHERINE BERRY: Les premiers mois étaient intenses. J’étais la seule à parler français et on ne connaissait personne. Sur place il n’y avait pas de famille, pas de réseau, pas de collègues de travail et on ne comprenait pas beaucoup de petites choses (comment commander et utiliser les tickets de cantine, comment obtenir un justificatif de domicile, l’obligation pour les enfants de porter des chaussons en classe… même les supermarchés, les produits, les salutations, les relations parents-prof …étaient différents et surprenants). LISE MARIANO : J’ai lu des passages intéressants dans votre livre sur la vie à l’école, visites chez le médecin, la vie à la campagne. Est-ce qu’il y a des évènements amusants ou intéressants que vous aimeriez partager? CATHERINE BERRY : En fait le titre de mon livre est le résultat d’un de ses moments. Je vous raconte…ma fille venait de commencer au collège où elle était passée d’un seul instituteur à plusieurs profs qui ne la connaissaient pas et qui ne savaient pas que le français n’était pas sa langue maternelle. Alors, un de ses devoirs a reçu un commentaire un peu juste et j’ai pris RDV avec le prof pour lui expliquer sa situation. En arrivant ensemble dans la salle de réunion je me suis présentée et a ensuite commencé un assez long discours (nous étions australiens et patati et patata). Fini, il m’a regardé quelques secondes, s’est calé super lentement dans son fauteuil et d’un air surpris m’a répondu ‘Mais vous êtes en France, Madame’. En somme, cette phrase résumait parfaitement nos 3 ans et demi- c’était notre choix d’être en France…et il m’est revenue quand je cherchais le titre de mon livre. LISE MARIANO :Vous avez un ou des souvenirs mémorables de votre séjour? CATHERINE BERRY: La vie familiale que nous avons créée restera pour toujours le souvenir le plus précieux pour moi. Nous avons vécu quelque chose d’authentique, de difficile, de merveilleux…quelque chose d’inoubliable. LISE MARIANO: Ma dernière question est où peut- on acheter votre livre? C’est une question qu’on m’a posée. CATHERINE BERRY :Le plus simple serait de l’acheter sur Amazon en tapant ‘But you are in France, Madame’. Il est disponible en livre de poche et en version numérique. Autrement, je vous laisse mon adresse mail pour des contacts éventuels (cb222@me.com). LISE MARIANO: Merci beaucoup de m’avoir accordé cet entretien et je dois vous dire que votre livre va surement intéresser beaucoup de gens qui veulent passer du temps en France. CATHERINE BERRY :Merci à vous, Lise. Do you want to learn some French vocabulary about Christmas?